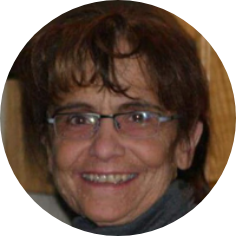 Cindy Marie Bookout, aged 57 years of Moose Jaw, SK passed away peacefully with her family by her side on Sunday, July 29th, 2018. Cindy will be lovingly remembered by her parents, Keith and Bev McCrady; daughter, Tarisa (Bryan and Breckin); sisters: Lynne (Jim, Mike, Julie, Claire, Leif, and Tom), Leslie (Kevin and Tyler); and Lisa (Chris and Ryan); as well as by her many aunts, uncles, cousins, and close friends who meant the world to her. A Memorial Tea will be held on Friday, August 3rd, 2018 at 1:00 p.m. in the Harvey Room at Moose Jaw Funeral Home. As an expression of sympathy, donations in Cindy’s name may be made to STARS Air Ambulance, 2640 Airport Road, Regina, SK S4W 1A3.